Mariah Carey’s latest album kicks off in wonderful and typical Mariah form: She sings a song that immediately pulls you in, which has ranged from a killer club jam to a searing slow song in the past. “Cry,” a torching, emotional tune, is the song that does its job on “Me. 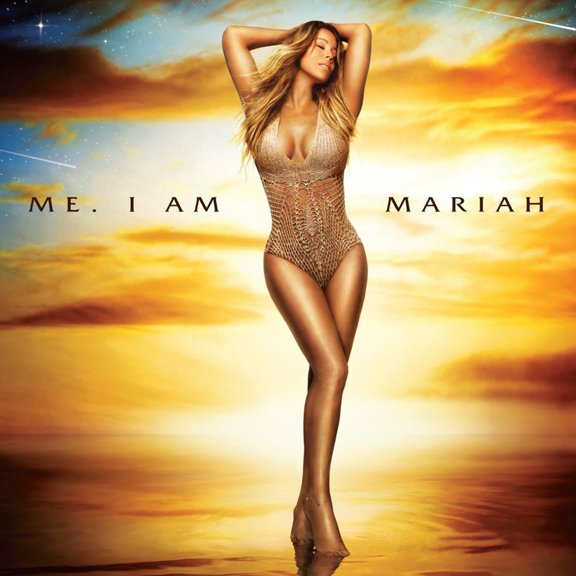 I Am Mariah ... The Elusive Chanteuse.” You feel like you are about to experience musical bliss, and most of the time Carey has been able to hit it out of the park. But like many veteran all-stars, there comes a time when singers make more errors and can’t score a hit like they used to. Sadly, that is what is happening with Carey. The batch of tracks on her 14th record are enjoyable, but they don’t have the pizazz and spark of her past albums, including 2009’s “Memoirs of an Imperfect Angel,” her worst-selling album, though musically it was one of the year’s best works. “Elusive Chanteuse” borrows from Carey’s earlier work — and while the powerful singer still has the vocal chops, her songs find her looking too much to the past. The downtempo ballad “You're Mine (Eternal)” is “We Belong Together” 2.0, while the bouncy “Thirsty” sounds like it was recorded a decade ago. And tracks like the Q-Tip-produced dance number “Meteorite,” “You Don’t Know What to Do” and “Make It Look Good” are album-fillers that don't help the project stay on track. Carey has been recording the album since 2011, and she’s struggled with its singles, from “You’re Mine” to “The Art of Letting Go” to “#Beautiful,” a mellow outtake featuring Miguel that was released a year ago and peaked in the Top 20. Throughout the struggle, she called megaproducer Jermaine Dupri to come onboard as her manager and executive producer to shape the album. The magical duo, who have collaborated on hits such as “Always Be My Baby,” “We Belong Together” and “Don’t Forget About Us,” haven't completely lost their charm, but the thrill is somewhat gone.